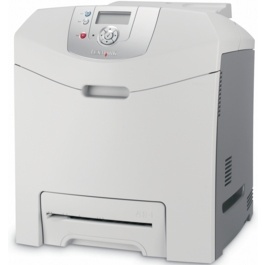 With its wide range of media support, multi-platform support and great performance, the Lexmark C520 is a versatile color laser printer, especially considering its affordable price. Its fast print speeds and excellent output quality are impressive, and the Lexmark C520 toner cartridges are affordable. The C520 comes with built-in ethernet networking that lets users quickly and easily get it up and running on a shared network. Once installed, users can access important features and control options from any computer on the network. It can also be connected via USB for those who want to use it as a personal printer. The C520 has more versatility than one might expect from a model with such a low price. It supports Windows, Mac OS, Linux and even Citrix platforms right out of the box for excellent multi-platform support. It can also handle a wide variety of media types including envelopes, card stock, transparencies, labels, plain paper and others. 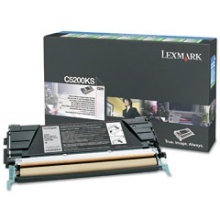 Print speed is impressively fast, at up to 20 pages per minute in both black and color. It has a first page out time as fast as 13 seconds as well. The 1200 dpi printing engine has an enhanced resolution of 4800 dpi, which makes the most difference in color printing, resulting in sharp and detailed prints with accurate colors. Laser toner costs are low, making the process of replacing toners very easy on the wallet. 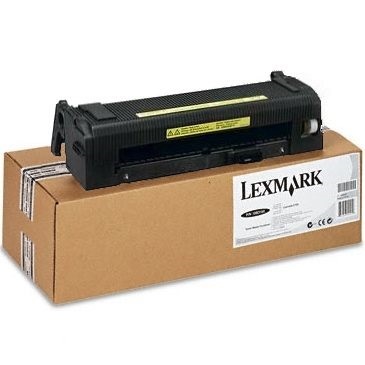 Lexmark C520 toner cartridges are very affordably-priced, and users have a choice of standard or high-yield Lexmark C520 toner cartridges, offering better control of cost per page. For users who want excellent versatility, speed and print quality, it is hard to match the Lexmark C520N at its low price. Its cross-platform support and wide range of media support are impressive, and low-cost Lexmark C520 toner makes it a very economical solution for any office environment.